Earlier this week, I bought a brand new Samsung Gear 360 4k (2017 Model) online and received it on Wednesday evening. I planned to use it to create the content for my upcoming VR App. I opened the box with a whole lot of excitement and found the camera, a USB-C cable, a carry bag to carry the camera and quick instructions set in the box. I pushed the power button on the Gear 360 4k Camera to start it and it didn’t start. I thought the device probably a bad one, dud or a lemon and decided to return. Before returning that, I thought it would be nice to read the quick instructions and look for anything I missed, and after reading the quick instructions, I used the USB –C cable that came with it to charge the device overnight. I plugged the camera to the wall outlet using the power adapter that came with my Samsung Galaxy S7 Edge camera. To my surprise the charging indicator LED didn’t turn on. But it was already late and I had a pretty long working day, so I decided to check next day morning. Thursday morning, I looked at the camera, and the LED indicator was still turned off. I tried to start the camera by pressing the power button again, but I found it didn’t. Then I though I should use my Lumia 950 charger as it is a higher rating adapter than the Galaxy Edge S7 power adapter. The LED didn’t turn on and after waiting for 20 minutes (that’s what the quick instruction set said), I couldn’t turn it on either. I started packing the box for a return. Before doing that, I reluctantly started searching online for if someone already encountered that issue and resolved it. To my surprise, I found there are a plenty on this issue and some of them suggested to charge using the Laptop port or a MacBook Pro USB adapter to be precise. I tried charging using the MBP, and Surface Book and also the Surface Hub USB ports. Nothing helped. Just before wrapping it struck to me that I have an even higher rating charger with USB-C, my MacBook Pro with Touch bar, that comes with USB – C Charging rating, 65 Watts. I used that to charge my Gear 360 4k and voila, the charging indicator LED started blinking in orange and then after few minutes a solid orange color. Then I removed it from MacBook Pro charger and then used my Lumia 950 charger, and within half-an-hour, it completely charged. The MBP charger knocked the heck out of the battery in the Gear 360 4k, it seems, and woke it. Why didn’t Samsung figure out this issue with the battery before launching the device? I am not sure why and how Samsung Quality Control missed this issue, if they have one. 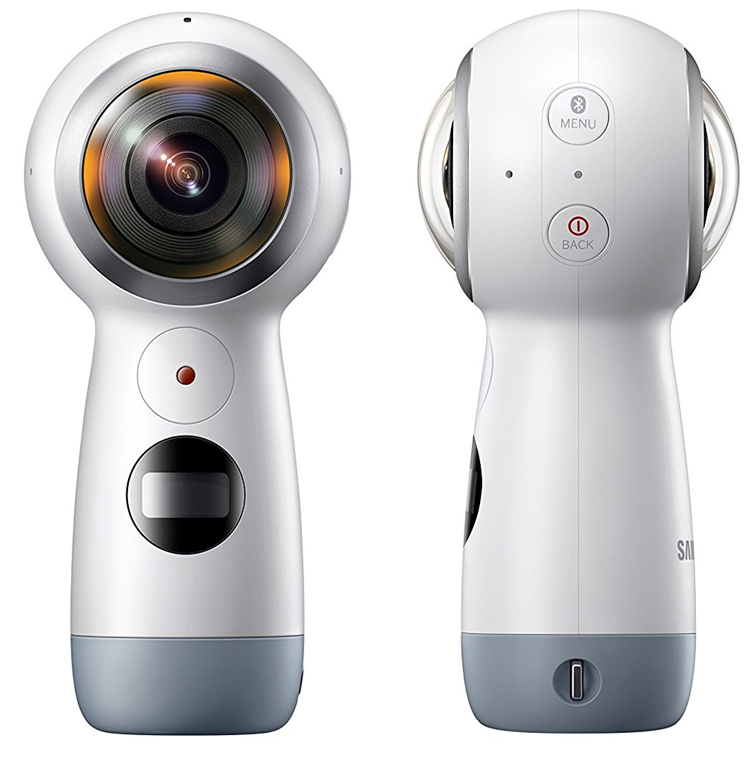 Why are there so many complaints on the same issue since it’s launch, https://us.community.samsung.com/t5/Gear-360-Questions-Answers/Gear-360-2017-won-t-charge-turn-on/td-p/147169? Can’t they just ship the device with half powered battery instead of empty, like the phones that come with the out of the box power sufficient to turn on and look around. I just can’t understand. This is my 4th Samsung device and except for the 3D TV, every other device from them have some kind of issue always. I am not going to trust their quality anymore. To me their hardware always look like a beta, or half baked release. Yeah, I know it is nearly a year old release. But that means they are expected to fix the issues that initial batch had and subsequent batches shouldn’t have this issue.